Civil engineering plays a vital role in the progress and development of a modern society, for its art and science of designing, constructing, maintaining and managing of infrastructure. The Department of Civil Engineering was started in the academic year 2005-2006 with an intake of 60 and increased to 120 from the academic year 2013-2014. PG programme M.E. – Construction Engineering and Management was started by the Civil Engineering Department during the academic year 2014-2015 with an approved intake of 18. The B.E.- Civil Engineering programme was accredited by National Board of Accreditation, New Delhi. 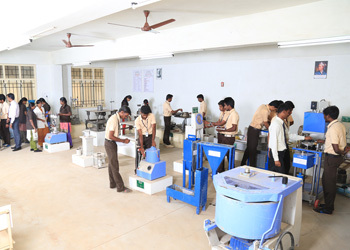 The department of Civil Engineering offers quality engineering education based on a nationally and internationally recognized curriculum prescribed by the affiliating university (Anna University) supported by imparting content beyond syllabus for the attainment of course outcomes and program outcomes. 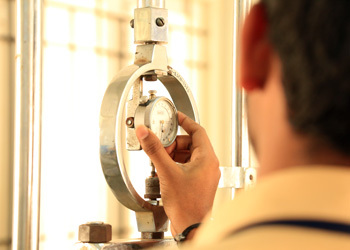 The Department is equipped with excellent laboratories provided with state-of-art equipment and experimental facilities. The Department is also having a well-equipped separate CADD and CABD lab for the usage of the Civil Engineering students and Staff. The Department has 22 faculty members (Three with Ph.D. and the remaining with Post graduate qualification) and headed by Dr.R.N. Uma who has rich experience in Teaching, Research and Consultancy. She is also the board member for the academic curriculum of the Civil Engineering programme of Karpagam University, Coimbatore. Her wide experience in teaching, industry and research leads the department to reach great heights. Two faculty members submitted their thesis and waiting for the viva voce. Three of the Faculty members are doing their research in the areas of High Performance concrete using manufactured sand and USAB treatment for diary waste and Municipal Solid Waste Management under Anna University, Chennai. Faculty members have obtained educational qualifications from Anna University, Government and Government Aided Institutions. Most of the faculty members are life member of professional bodies and societies in various fields of Civil Engineering. The department has signed a MoU with SERC – CSIR, Chennai for collaborative research. Research funding proposals are submitted to the government funding agencies for research in collaboration with SERC – CSIR, Chennai. Faculty members continuously update their knowledge by attending training programmes conducted by reputed institutions, organizations and research centers. 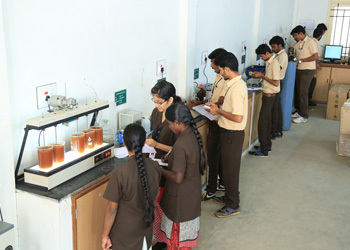 Active participation of faculty members in testing, consultancy service, resource persons for various FDPs, conferences, workshops and research activities helps them to interact with industries, academicians and scientists to improve the teaching learning activities of the department and demonstrate the application of concepts in field. Our students actively participate in co-curricular and extra-curricular activities and secured many awards. Many students continue their post graduate and research programmes in leading institutions like NIT, Anna University, School of Planning and Architecture – New Delhi, Government and Government Aided colleges as well as in UK and Germany. Our alumni are occupying good positions in Education, Research, Design and Construction in various private and government organizations and practicing as successful entrepreneurs. Civil Engineering has a special status in Engineering Education. Civil Engineering plays a key role in the development of other fields of Engineering. Civil Engineering is the oldest branch of all engineering which has kept its pace with the rapid growth in the field of technology. Civil engineers are born to mankind, they only providing urbanization such as building, transportation roadways, highways etc. In order to fulfill this criteria, we have endeavored to create a world-class educational institution that is complete in every way. Be it facilities or faculty, curriculum or career guidance, we seek to offer the very best to our students. Since the inception of this department in 2005, the department of civil engineering has been striving hard to provide pleasant ambience for moulding the young minds to scale greater heights in their chosen field of study. We treat our Students, Parents, and Society as our most valued Customers. With the help of highly qualified and dedicated staff members, we will be moulding the students to the required shape which will make them industry-ready and employable. The department is equipped with state –of–the-art and up-to-date infrastructure facilities. Our focus on academic excellence, innovation and discipline has helped us to bring laurels to this institute with students securing University First Rank along with other ranks , winning memorials and awards. The Civil Engineering Department aims at developing analytical and experimental skills in students to apply in various fields of Civil Engineering using National and International codes. The department also provides an opportunity for students in improving supervision, communication and presentation skills, knowledge of software like Auto CAD, STAAD PRO, Arc GIS and Rivet Architecture. The students have to undergo Industrial Training and visit live projects to gain practical knowledge and understanding of field constraints. The Civil Engineering Department has well qualified teaching faculties with industrial experience who are enthusiastic in imparting the quality teaching to the students. The emphasis is laid on proper understanding of the fundamentals of the subjects through animation, video clipings and case studies. It has well equipped laboratories, computational facilities; modern class rooms and provides a good environment for learning. Many senior faculty members are also engaged in research and consultancy projects which benefit the students for creative learning. The department also has its own library housing a good number of quality reference books for the benefit of staff and students. “ Job Makers and not Job Seekers”. The vision of Civil Engineering department is (1) to become a leading center of excellence in Building Materials by providing a quality Civil Engineering Education (2) to contribute in research activities for recognition at National and International levels. The Mission of Civil Engineering Department is (1) to produce Civil Engineering graduates with advanced skills and knowledge in diversified areas in Civil Engineering. (2) to prepare the students and faculty in designing Eco Friendly buildings for healthy and safe living. Self-Learning: Adopt the modern technology by incorporating social, economical and environmental values through life-long learning with effective team work, communication. 1. Engineering knowledge: Apply the knowledge of mathematics, science,engineering fundamentals, and an engineering specialisation for the solution of complex engineering problems. 2. Problem analysis: Identify, formulate, research literature, and analyse complex engineering problems reaching substantiated conclusions using first principles of mathematics, natural sciences, and engineering sciences. 3. Design/development of solutions: Design solutions for complex engineering problems and design system components or processes that meet t h e specified needs with appropriate consideration for public health and safety, and cultural, societal, and environmental considerations. 4. Conduct investigations of complex problems: Use research-based knowledge and research methods including design of experiments, analysis and interpretation of data, and synthesis of the information to provide valid conclusions. 5. Modern tool usage: Create, select, and apply appropriate techniques, resources, and modern engineering and IT tools, including prediction and modelling to complex engineering activities, with an understanding of the limitations. 6. The engineer and society: Apply reasoning informed by the contextual knowledge to assess societal, health, safety, legal, and cultural issues and the consequent responsibilities relevant to the professional engineering practice. 7. Environment and sustainability: Understand the impact of the professional engineering solutions in societal and environmental contexts, and demonstrate the knowledge of, and need for sustainable development. 8. Ethics: Apply ethical principles and commit to professional ethics and responsibilities and norms of the engineering practice. 9.Individual and team work: Function effectively as an individual, and as a member or leader in diverse teams, and in multidisciplinary settings. 10.Communication: Communicate effectively on complex engineering activities with the engineering community and with t h e society at large, such as, being able to comprehend and write effective reports and design documentation, make effective presentations, and give and receive clear instructions. 11.Project management and Finance: Demonstrate knowledge and understanding of t h e engineering and management principles and apply these to one’s own work, as a member and leader in a team, to manage projects and in multidisciplinary environments. 12. Life-long learning: Recognise the need for, and have the preparation and ability to engage in independent and life-long learning in the broadest context of technological change. The central library has a stock of 1516 titles and 3738 volumes of books related to civil engineering. Also the library research resource centre has 117 titles with 265 volumes of books exclusively for research and post graduation course of construction engineering and management. There are 18 national periodicals including some reputed journals like IEI-Springer, CSIR for Under graduate course and journals like Journal of construction engineering technology and management, Recent trends in civil engineering and technology and Indian journal of construction engineering, technology and management for Post graduate course. The department library comprises of 298 titles 407 volumes of books related to the subjects covering the entire curriculum. Also the copies of Design projects and Main project books are made available to the students for future reference. Video lectures for various subjects downloaded from several websites like NPTEL and other learning resources are also made available in digital formats to the students to help them understand the concepts better.